What a great weekend it was! On Saturday I had to work some then we watched our Gamecocks get a big win over Arkansas at the Gamecock Bar here in Charlotte called "Flight". I had always heard it was almost unbearable because it gets so crowded during games, but I finally decided to take the plunge and go, and to much of my surprise, it wasn't too crowded! Thankfully! On Sunday we spend the morning running errands & watched the Panthers play the Lions. After the game I spent the afternoon running to the grocery store, meal prepping for the week & getting my posts finished for the next few days. This trend is one that is giving me all the heart eyes! Does your shoulder or back ever hurt from your handbag weighing too much? Or traveling and tired of carrying your cross body bag? This trend solves all of those problems! How great is that!? 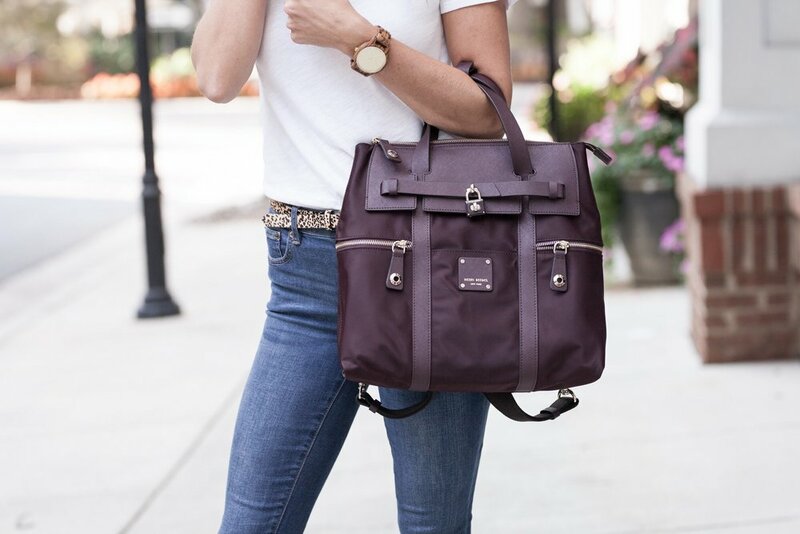 I am LOVING this new trend for so many reasons, but my absolute favorite backpack handbag I have found is the one pictured above. It is a backpack that can be turned into a handbag with just a few quick snaps! I took it on our honeymoon with us and could not have been any happier! It was awesome to have so many different ways I could wear it, and it just made the trip so much easier to not have to take 5 different handbags with me. When I'm traveling I always like to have a backpack of some sorts, so this bag was perfect to be able to take just one bag with me! 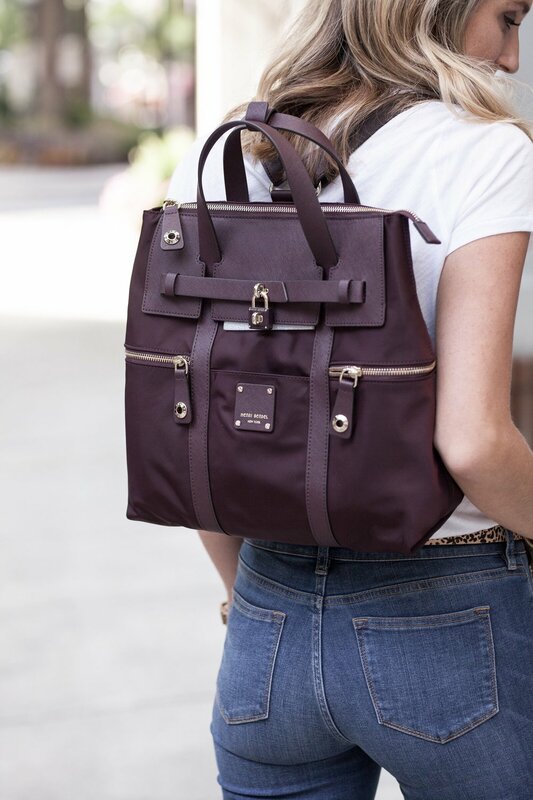 I put together a clickable look book of all my favorites backpack handbags that are out there right now! They range in prices, colors & styles, but they all serve the same purpose :) While walking around, you will start to notice more and more people with these backpacks, so be sure to keep an eye out!